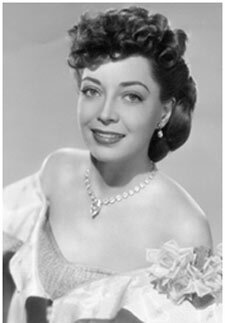 Exotically beautiful 1984 Golden Boot winner Marie Windsor was a tall (5'9") beauty contest winner (“I was even Queen of the Covered Wagon Days.”) before going to Hollywood. 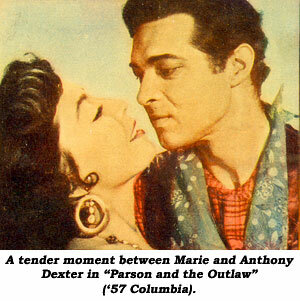 Marie worked as a telephone girl and even a dancing teacher before hitting the big time. She studied drama for two years at Brigham Young University in Utah. “I was trained in dramatics by Maria Ouspenskaya. 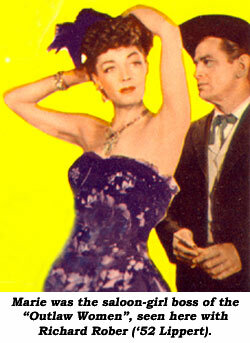 I lived at the Hollywood Studio Club, where one of my friends was Carole Mathews. I was very fond of Carole. The actresses worked together in “Swamp Women” in ‘56. 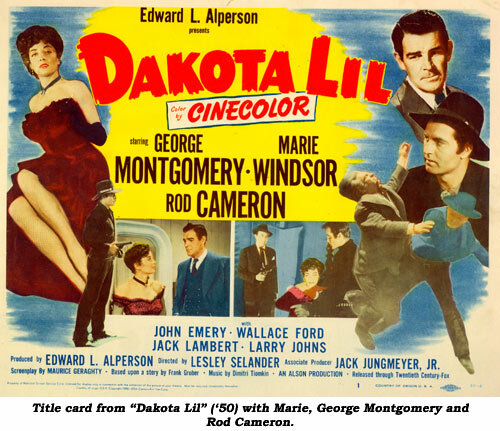 Marie has had a long and successful career, which includes the LOOK magazine award for best supporting actress of 1957 in the “The Killing”. Her television work is so extensive, it would make for yet another long interview. “On TV, I wish sometimes they didn’t take the attitude, if you get all the words in, they print it. 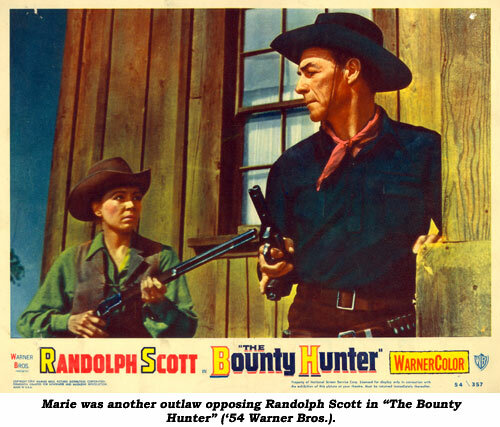 I did enjoy working in the various series Warner Bros. produced.” One of her favorites also is the title role of “Belle Starr” in “Stories of the Century”. Married for 46 years to Jack Hupp, a Beverly Hils realtor, Marie was sidelined by crippling arthritis and several operations in 1996. 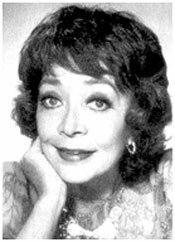 The western world lost one of our favorite and most gracious actresses on December 10, 2000, shortly before her 81st birthday. 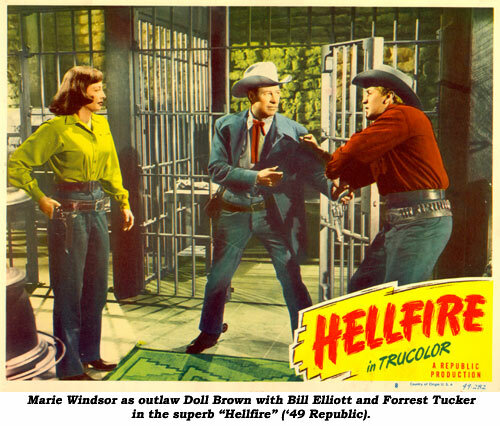 Movies: Fighting Kentuckian (‘49 Republic)—John Wayne; Hellfire (‘49 Republic)—William Elliott; Dakota Lil (‘50 20th Century-Fox)—George Montgomery; The Showdown (‘50 Republic)—William Elliott; Frenchie (‘50 Universal)—Joel McCrea; Little Big Horn (‘51 Lippert)—Lloyd Bridges; Outlaw Women (‘52 Howco)—Richard Rober; Tall Texan (‘53 Lippert)—Lloyd Bridges; Bounty Hunter (‘54 WB)—Randolph Scott; Silver Star (‘55 Lippert)—Earle Lyon; Two Gun Lady (‘55 Associated)—Peggie Castle; Parson and the Outlaw (‘57 Columbia)—Anthony Dexter; Day of the Bad Man (‘58 Universal)—Fred MacMurray; Mail Order Bride (‘64 MGM)—Buddy Ebsen; Good Guys and Bad Guys (‘69 WB)—Robert Mitchum; Wild Women (‘70 Spelling Productions–TV) Hugh O’Brian; One More Train To Rob (‘71 Universal)—George Peppard; Support Your Local Gunfighter (‘71 U.A. 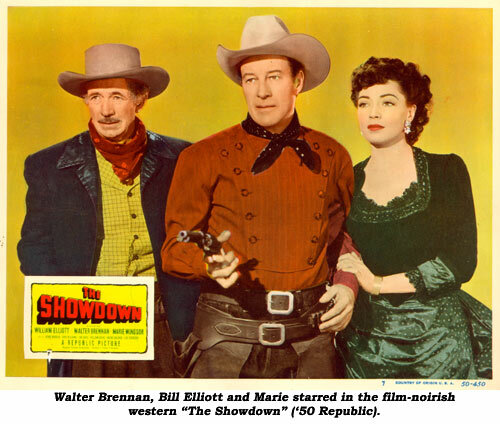 )—James Garner; Cahill, United States Marshal (‘73 WB)—John Wayne; Hearts of the West (‘75 MGM/U.A. )—Jeff Bridges. 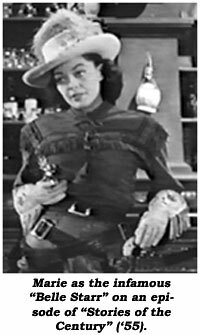 TV: Stories of the Century: Belle Starr (‘55); Cheyenne: Decision at Gunsight (‘57); Cheyenne: Mutton Puncher (‘57); Californians: Regulators (‘57); Maverick: Quick and the Dead (‘57); Yancy Derringer: Ticket to Natchez (‘58); Bat Masterson: The Fighter (‘58); Rawhide: Incident On the Edge of Madness (‘59); Tales of Wells Fargo: Warrior’s Return (‘59); Deputy: Back to Glory (‘59); Shotgun Slade: Salted Mine (‘59); Alaskans: Winter Song (‘59); Rebel: Glory (‘60); Wyatt Earp: Wyatt Earp’s Baby (‘61); Rawhide: Incident of the Painted Lady (‘61); Whispering Smith: Trademark (‘61); Bronco: Equalizer (‘61); Lawman: Wanted Man (‘62); Maverick: Epitaph For a Gambler (‘62); Destry: Nicest Girl in Gomorrah (‘64); Rawhide: Incident of the Rusty Shotgun (‘64); Branded: That the Brave Endure (‘65); Legend of Jesse James: The Quest (‘65); Bonanza: Five Sundowns To Sunup (‘65); Gunsmoke: Trafton (‘71); Alias Smith and Jones: High Lonesome Country (‘72), Hec Ramsey: Green Feather Mystery (‘72).